The Hovertravel service has been hit once again by a series of problems with their newest craft, Solent Flyer and Island Flyer. Customers have been notified several times in the last week that a shuttle service is in operation due to technical issues. Since the new craft came into service around two years ago, they have been blighted by technical problems. Our Engineering team have had to carry out some unplanned maintenance work to the engine of Solent Flyer to ensure that our craft meet the stringent safety standards for our operation and we are therefore are unable to operate our advertised timetable at this current time. The current situation is being constantly monitored by our engineers. The next update will be provided at 11:30am. Unfortunately we will be operating a shuttle service this evening & once again we apologise for this disruption to your journeys. The ongoing problem with the engine is proving to be take longer to resolve than originally anticipated. A more detailed customer communication providing further information will be issued tomorrow regarding the recent disruption. Next service status update will be provided at 2100hrs. We strongly recommend that you make alternative arrangements for your journey this evening. If you do choose to travel via Wightlink this evening, we will reimburse your travel costs in our terminals on production of your receipt. 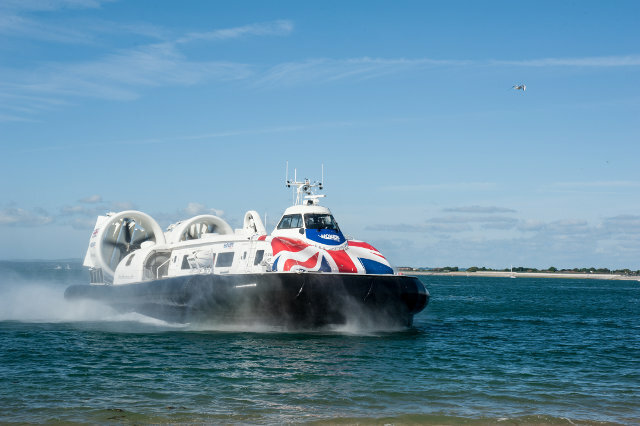 We are pleased to announce that Hovertravel services are back in operation following the remedial work completed earlier than expected by our engineering team. Hovertravel wishes to apologise for any inconvenience caused & thank you for your understanding. You can call 01983 717717 for immediate service updates. 2 Comments on "Hovertravel hit by more problems to their service (update 4)"
Am I the only one who tells visiting friends not to plan on using the hover?